I found this article, “9 Ways to Reduce Anxiety” and added one more that I know has helped me and many others from around the world. I bet you can guess the one I added. Have recently become intered in zentangling, colored pencils and mandalas. All of this wonderful information: it’s like Christmas only better! Thank you! There are so many wonderful creative outlets. 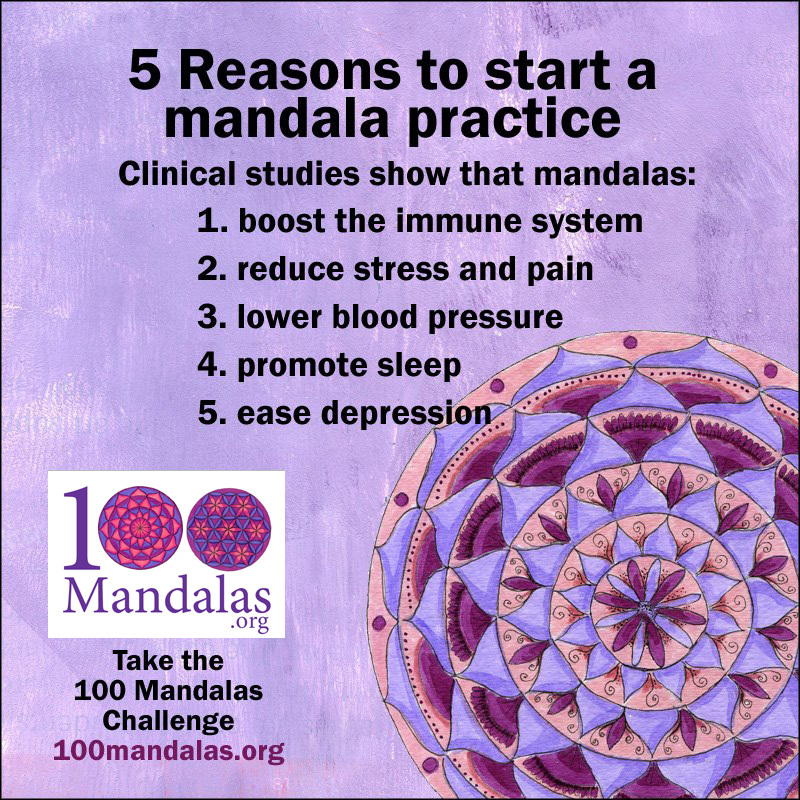 Now you can add mandala making to your repertoire. 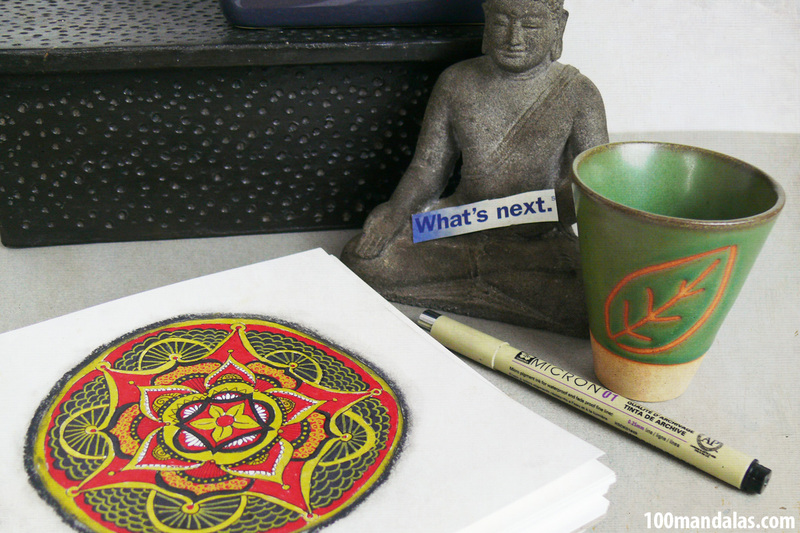 What is cool is how mandalas can integrate the Zentangle Method, colored pencils and other techniques. My book offers 24 demonstrations/projects that explore a variety of mediums.